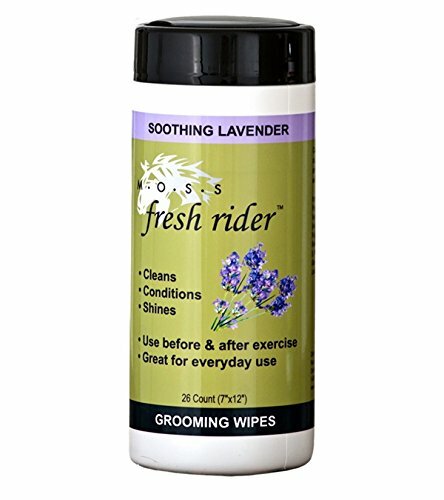 MOSS fresh rider Horse Grooming Wipes remove that last little bit of dirt that a brush just can't get, while adding sheen to the coat. Great for around the face and muzzle as well as all over the body. Adds luster and conditioning to the coat and does not make your horse slippery. Use before, during and after exercise to leave your horse's coat show ring ready. If you have any questions about this product by Nunn Finer Products, contact us by completing and submitting the form below. If you are looking for a specif part number, please include it with your message.